It looks as though we’re going to see a bit more character in our weather patterns this week. Expect some cloud cover, and maybe a small chance of precipitation. It is safe to expect temperatures to cool down another ten degrees. This in essence will shut the fishing window slightly more. We will also begin to see a big transition from our Fall hatches to our winter hatches. If you get a calm enough day and it warm up enough in the afternoon, anglers still have a n excellent chance to see a Baetis hatch, but don’t expect to see a lot more than that. There may be stray October Caddis and Hoppers around, but this next weather system may put a stop to all of that. With most of the Browns finishing up their spawning activity expect the Streamer fishing to pick up as these big guys try to fatten back up before winter takes grip of the river. Silver Creek remains open through November 30th from the Highway 20 Bridge up through the Nature Conservancy. If you want to see the last of this seasons hatches, get to the conservancy in the next week and half. Once the upper section of the Creek closes the section from Highway 20 downstream through Point of Ricks and the Willows, all the way to Picabo Bridge will remain open for catch and release fishing only until the end of February. With most areas river quieting down, this would be a good time to go through your winter fishing gear. Be sure you are well stocked with Brassies, Copper Johns, Zebra Nymphs, Griffiths Gnats and Tie-Down Midges. This selection will take you all the way through to the spring! Streamers are also a very effective way to fish these times of low hatch activity. The Wood River Sculpin is always a meal on the Wood, and the same style of pattern can be used on all rivers, all winter. 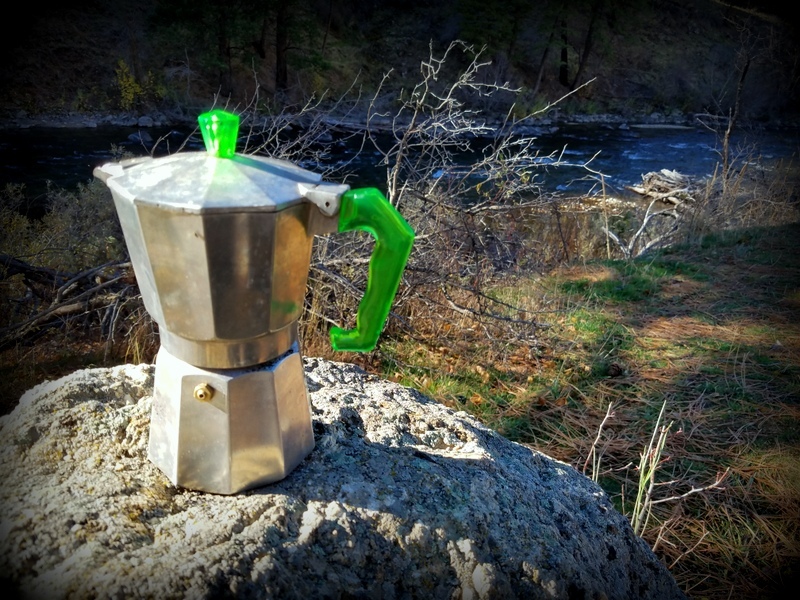 A Coffies Sparkle Minnow on the South Fork of the Boise right now can be deadly. This streamer also fishes really well below Magic and anywhere Big Brown Trout swim. With the weather changing it is time for us to remind you to throw in emergency food and water when you head out to fish. Pack a warm sleeping bag and make sure your cell phone is completely charged when you leave home. Getting stuck somewhere in the summer is one thing, in the winter it can be deadly, but much less so, with a little preparation! With almost all our fisheries producing very good activity with Green Drakes, Tricos and Salmon Flies, we thought we would head over to the Little Wood River yesterday so we could finally update the one river we've had very little reporting on. It only took a few minutes to realize why we have heard little to nothing about the fishing. The Mosquito population in the woods along the upper Little Wood is staggering. We geared up, went to the river and within moments we were running for the truck! I suppose if you had the full Alaska bug protection covering you, there is probably some pretty good fishing to be had, as the flows and clarity looked great. For now though, there are so many other great places to fish its probably best to let the blood suckers have it for a few weeks. There are plenty of Mosquitoes on the Wood and Silver Creek as well, but nothing like what we experienced north of Carey. Be patient, they will go away. Stay in the higher elevations for now! What a great week to be a fly angler in Idaho! Rivers are coming into shape all over the place. Major hatches are starting on many of these rivers and the fish have yet to see a fly! Silver Creek is going to be an early and late show with the heat this week. The midday hours should produce some really decent Blue Damsel fly activity on the afternoons when the wind stays down. The Mouse fishing remains very good! The South Fork of the Boise should come to life with Salmon Flies this week as well an uptick in the Baby Hopper action. It's a good time to have your large foam flies out! The Big Wood should erupt into full blown Green Drake madness this week! I can think of few other places I'd rather be fishing right now. The Upper Lost is coming into form quickly. Dropping water and massive amounts of insects make the exploring "up top" as fun as it gets! There is a lot to do. Play hookie and go do it! A fun weekend is ahead of us. There is a lot of exploring to do on all our area waters. Pick what you like to do best and get out there! The Big Wood is coming into shape quickly and anglers are beginning to catch fish and see Green Drakes in the Bellevue area. The Upper Lost is clearing and right behind the Big Wood for fishability. The South Fork of the Boise and the Salmon are both floatable and are fishing well, with better fishing still to come. There is a quietude in fly fishing that can often be left behind or forgotten as we wait out he Spring Runoff on our freestone streams. We fish together on our spring creeks and tailwaters within close proximity of one another and we get used to it. This weekend should be the first real dose of getting out, getting spread out and finding those quiet moments in our sport once again. Silver Creek was a challenge for most anglers yesterday. The Creek and the fish are readjusting to the heat, but as the action slows for the moment on the Creek, the excitement of other fisheries opening is palpable. The Creek will show her true colors again at a moments notice, so stay ready and be willing to look outside your normal fishing box. The freestone fisheries like the Upper Lost, the Wood and the Little Wood are right there...on the cusp of some great fishing. Expect a crazy good 2 weeks on these streams beginning this weekend ! Have your fly box ready with Big Flies! Be safe! Enjoy your quietude! The water is clearing fast on the Big Wood, the Upper Lost and the Little Wood! The fishing will remain a challenge as the flows begin to drop, but things will also get easier and easier with each passing day. 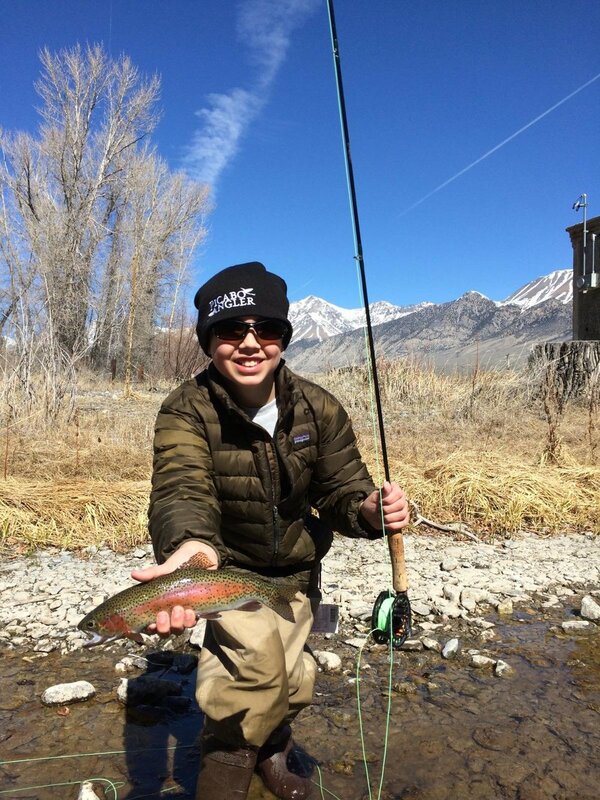 The return of the heat has had an influence on Silver Creek, knocking back a bit of the hatch activity, and moving the best fishing to the early morning and late evening hours. Midday activity should come on quick when the wind dies down and Blue Damsel comes out. It's a great week to get out and explore! There is a lot of new water opening up, and even some new runs to explore as we experience our first true spring run-off in many, many years. Have your Green Drakes, Royal Stimulators, Copper Johns, Prince Nymphs, Girdle Bugs and Streamers in your fly box! Things are about to get really good out there!